Kemping Villaggio Le Ginestre Arezzo, Arezzo ban található. Ez a Teraszos kemping táborhelyekkel rendelkezik Parcelázott helyek, Árnyékos helyek, Árnyék nélküli helyek és Árnyékos helyek előfordulnak. letelepített lakókocsi bérelhetők. A kempingben Gyerekjátszótér és Sportpálya. Ez az ellenőr minden évben felkeresi a(z) Kemping Villaggio Le Ginestre kempinget és több mint 200 szolgáltatás és ellátás szempontjából ellenőrzi. Az ellenőr az ACSI munkatársa, és nem áll a kemping alkalmazásában. Stayed 2 nights to visit Arezzo. Lovely swimming pool with free loungers and great views. Very peaceful and friendly. Showers hot and toilets clean. A really nice place. Big pitches, quiet situation, nice bar and excellent restaurant. Thoroughly recommended. A nice quiet site with big grassy pitches. Convenient for visiting Arezzo. Good restaurant, and nice pool. We stayed only one night as the surrounding area is only attractive for visiting local towns by vehicle. Nowhere to walk to from the site itself. The reception was appalling: the man could only be bothered to appear after we had rung the bell several times although his door was open and his dog barked..... Clean site with good hot water, toilet paper etc. Very well placed for visiting lovely Arezzo. The swimming pool was already closed although the weather was, and had been hot over recent time. Good as a stopover. Stayed here for a few days on our way to Sorrento. We enjoyed it so much we stayed again for longer on the way back. Lovely quiet site with good caravan/camper access. Good facilities & superb Tuscan restaurant. We didn't use the pool but it was well looked after & sparkling. In comaprison with other sites in Italy the charges were very reasonable. Good for visiting the area - Arezzo itself is lovely,shame we couldn't get to see the Saracen Joust. Poor weather when we arrived meant vehicles were being asked to park on the site roads as the grass was too wet. Handy to access the motorway and well signposted to the campsite. Large showers, everything clean. Hot water for washing dishes - rare on our recent holiday! Motorhome facilities awkward for emptying waste water - made even more difficult with the aforementioned parking on roadways. The campsite can be wet underfoot after heavy rain but its situation as a night stop from the autoroute-Rome to Florence - is perfect and it is beautifully placed for longer stays to visit southern Tuscany and western Umbria. 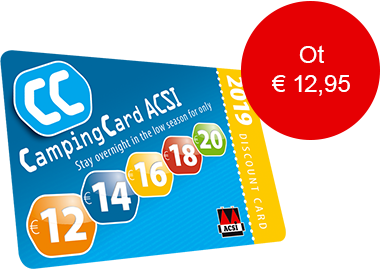 With ACSI discount the price is perfect off season. All site facilities are very good and the owners are always very helpful. The restaurant is open 6/7. The food is reasonably priced and of excellent quality. Lefoglalja a(z) Kemping Villaggio Le Ginestre kempinget, vagy bővebb információt szeretne? Ezt az alábbi módon. Az ACSI Eurocampings továbbítja az Ön információkérését a "Kemping Villaggio Le Ginestre".